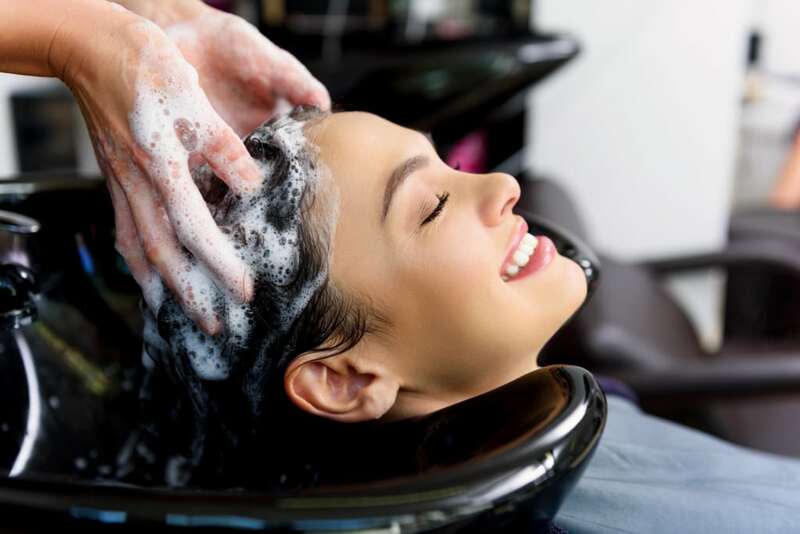 Given the everyday stress we have to endure and the environmental factors that constantly put heavy pressure on our health, we need all the self-care backup we can get. From this point of view, tea comes as a natural solution: studies found that tea could help you lower your risk of stroke and heart disease, lower your blood pressure, increase mood and mental performance, and even keep your energy levels up. Moreover, the best detox teas on the market are all the rage right now. They can power you up in the morning or calm you down in the evening for your well-being and health boost. In fact, black and green tea are rich in anti-oxidants – substances helping us fighting against the oxidative stress and free radicals in our body. Free radicals are much too often responsible for inflammatory processes in our bodies; DNA strains mutations, and the occurrence of cancer and chronic diseases. On the other hand, we sometimes need to cleanse our bodies. Be they summer barbecues or cocktail parties, our livers need our help to eliminate toxins and keep us healthy and safe from diseases. So are the best detox teas also able to help us boost our immune systems, cleanse our bodies, boost our metabolism, clear our heads, and help us lose weight? Nutritionists and doctors agree that tea alone will not cure your diseases, nor help you miraculously lose pounds or get ten years younger. However, teas, in combination with safe and mindful diets and lifestyle changes, can surely get you there faster. While it matters what type of detox tea you choose, it also matters what you eat, how you sleep, how much exercise you include in your life, and how you manage stress. Today, we will look at the best detox teas of 2018 and see how you can incorporate a tea detox cleanse session in your everyday life. In the chart below, you will find my top 10 rated best detox teas. For a more in-depth review of each model, please click on the "Read Review" link. Why ​These Best Detox Teas are Awesome/Valuable? When it comes to detox teas, you will find them in tea bags, loose-leaf packs, and powder boxes. Each comes with its benefits and drawbacks. We will discuss them in short, to help you make the best decision when it comes to your cleansing plan and detox diet. Many tea varieties on our top 10 best detox teas list come in tea bags. One of the main advantages of tea bags is that you know exactly how much tea you consume in each cup. Tea bags are also less messy than loose or powder teas. 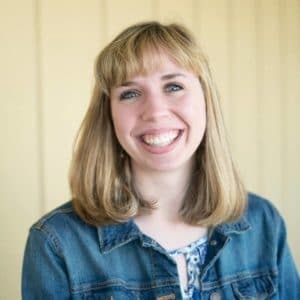 You can plan an entire cleansing program and dietary plan around your tea bags box, not to mention you will have better control over your budget. Detox tea in bags have a prolonged shelf life and are more affordable. Loose tea is clearly favored by tea enthusiasts – and by detox teas enthusiasts even more – for obvious reasons. Loose tea contains full leaves and bits of roots, fruit peels, and other loosely chopped herbs that allow stronger infusions and flavors that are more powerful. Moreover, loose tea contains more theine in case you want a more durable pick-me-up in the morning or throughout the day. Loose teas also usually contain higher-grade leaves. Powder teas are quite rare and pertain to the matcha green tea variety. When it comes to green matcha tea, you know you just picked the best detox tea if the powder is bright green and the smell sweeps you off your feet. High-quality matcha tea is made of organically cultivated green tea. The cultivation and picking process is meticulous. The shelf life of powder teas is lower than other teas’ for instance, but the overall quality and benefits are stronger. Detoxification works like a charm and the overall health benefits are visible in shorter amounts of time. How To Know You Should Try Detox Tea? These aren't sure signs that you need a detox tea since they could also be signs of other problems. If you experience many of the above symptoms for more than a few days, you may want to visit your doctor. But these are also signs that you have toxins in your body, that a detox could help with. We carefully tasted and tried all the detox teas on this list, trying to find the most effective detox tea in terms of body cleansing and visible signs of detoxification: glowing skin, alleviation of tired liver symptoms, better digestive functioning, better kidney functions, better bowl movements, better water and waste elimination, and so on. However, besides picking our teas based on their detox effectiveness, we also took into account their flavors, other side health benefits, cultivation and production methods, prices, and overall well-being effects. After we carefully weighed in all these parameters, we found that all our teas share a fair share of common features and benefits. Let us see what they are! Mindful cultivation/production: almost all the best detox teas on our list are organically cultivated and containing only natural ingredients. Many are USDA organically certified, many are Kosher certified, and all are free of chemicals, pesticides, GMOs, or toxins. In other words, these teas are healthy, clean, tasty, and efficient. Multiple health benefits: all the teas in our list come with plenty of positive health effects, besides the detoxification one. Generally, we can speak of cold and flu symptoms’ alleviation, pain relief, better digestion, more energy, better sleep, less stress, and an overall feel of well-being and peaceful emotions. Visible detox results: no matter some teas come in tea bags and others are loose, we found that all teas have detox effects, described as better elimination of water and waste, better-looking skin, better-feeling liver, better kidney functioning. Boosted energy levels: all the detox teas in the list helped with gaining higher energy levels throughout the day. We either drank them as detox teas or as pick-me-up drinks during the day, but we felt better, more energized, with clearer heads and better levels of attention at work. Many such teas are caffeine-free, so there were no caffeine jitters or caffeine side effects even if we drank the teas in the afternoon. Ease of use: while the ceremonial green matcha tea powder needs some accessories to get it right, all these teas were easy to prepare at home or at work. 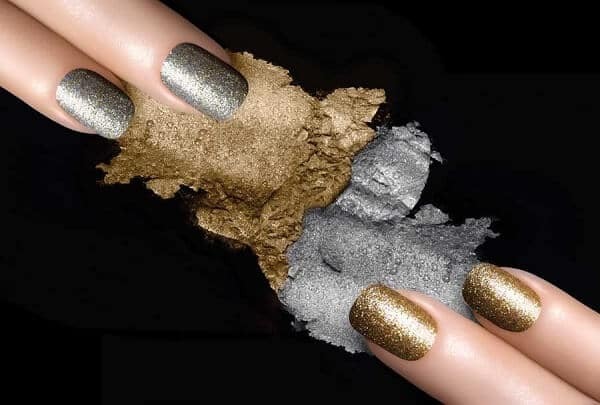 If you carefully manipulate loose or powder tea, you will not get the expected messiness or quantity errors. In addition, if you follow the manufacturer’s preparation instructions, you will get the detox results you are looking for. Affordability: granted, some teas are pricier than others are. However, looking at the big picture, one can easily realize the teas present a very nice balance between their quality and their price. Some teas come with exceptional offers and discounts and they are all worth every cent if you want a cup packed with health and flavor. Even if you get your hands on the best detox tea on the market, you still need to consider a few things before buying it. As a rule, you should never begin a cleansing program, a detox tea program, or a weight loss dietary plan without talking to your physician or nutritionist. Sometimes they can do more harm than good. 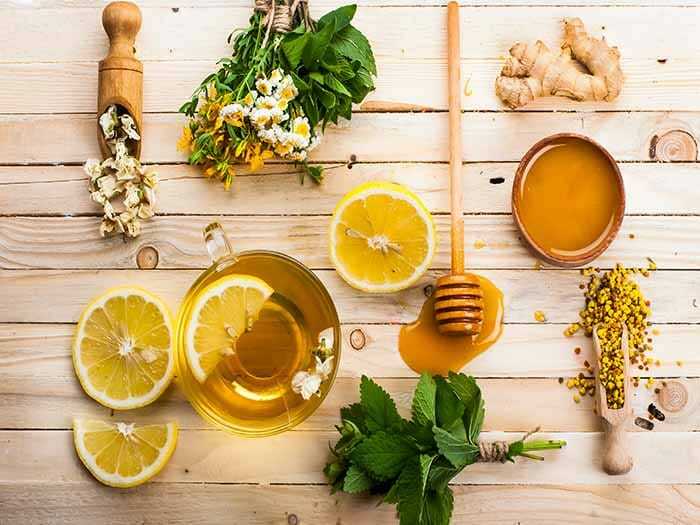 While these best detox teas on our list come with little counter-indications or side effects there are still a handful of things you need to take into account. Some of these teas may lower your blood pressure or your sugar levels. If you know you have some health issues in these departments, you need to check with your doctor first. Some of these teas may not be recommended to pregnant or nursing women, as they influence hormonal levels due to their ingredients. In addition, if you know you suffer from some sort of food allergies, you should read the ingredients list with care: some of these teas may contain nuts, peaches, or berries flavors/extracts. As you probably know already, the overuse of any food or drink may lead to side effects. This is why you should never exaggerate with the drinking of these teas: they can lead to upset stomachs, irregular bowel movements, or jitters/lack of sleep (the ones containing caffeine). Before buying any of these teas, have a chat with your doctor and learn if any of the teas’ ingredients clash against one or more of your health conditions. You can also pay attention to the caffeine and theine extra intake you will experience by drinking some of these teas – they might not work well together with your regular daily cups of coffee. One of the biggest problems with detox programs and cleansing diets is peoples’ commitment to them. If you do not have the time, the proper motivation, the willingness, and the mood to follow such a program, find another one that suits you best. Some of these teas have short shelf-life: if you forget or neglect to use them, they will lose their flavor and efficiency. ​Moreover, if you do not have the time to prepare and drink the recommended cups of tea each day, you will feel disappointed for not reaching the desired results in the proposed time. It would be a real shame to spend money on products you will not use correctly or on a regular basis, according to your detox program. One cannot please everyone – this is a truth and a fact. Our recommendation is to read carefully the ingredients list on each detox tea box. Some people may love turmeric or ginger, while others simply cannot stand the pungent or spicy flavor. Some people expect a peach flavor to be sweet, while others enjoy the lack of sweetness. Some people run away screaming when tasting licorice, while others are in love with it. If there is a scent or a taste listed on the box that you know you do not like, skip that tea and choose another. Otherwise, you will waste money and time on a product you will not consume. Moreover, you will feel cheated and disappointed, no matter how efficient the tea is in the detoxification department. ​Overall, pay attention to the ingredients and make sure the tea comes with flavors you like or the sweetness you expect. Many teas on our list are free from artificial or natural sweeteners, so you will also have to consider you adding extra natural sweetener to your future cup of teas (if you must add sweetener, we recommend natural honey wholeheartedly). Dandelion tea helps cleanse the liver, as well as serve as a diuretic. It contains vitamin A. To make dandelion tea, boil some dandelion roots or flowers for 30 minutes. Along with your tea, you may want to eat some raw dandelions. Green tea can reduce inflammation, lower blood pressure, reduce signs of aging, reduce cholesterol levels, and improve your memory. It contains powerful antioxidants. 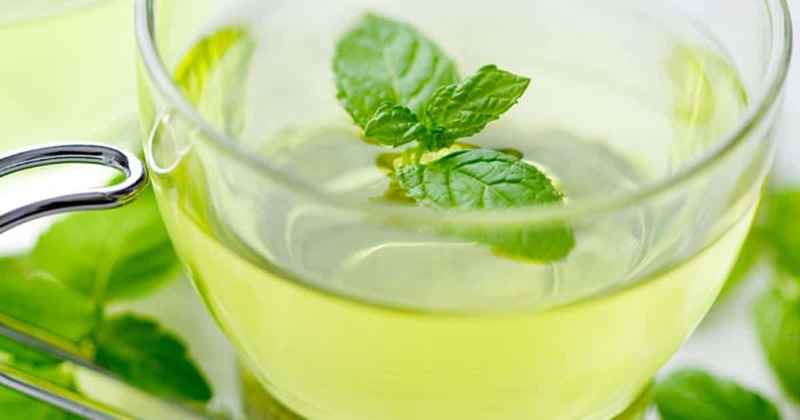 You can buy green tea at your local grocery store, or make your own. To make your own, boil green tea leaves for 3 to 5 minutes, and then drain them. Ginger tea is known to soothe digestion, reduce inflammation, and relieve an upset stomach. You can buy ginger tea at your local grocery store, or make your own. To make your own, boil fresh ginger root for 10 minutes. Add lemon or raw honey for flavor. 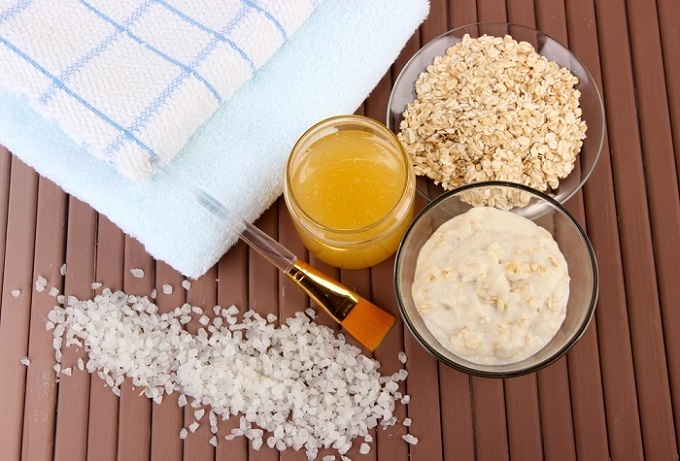 These added ingredients also have detoxifying benefits. Apple cider vinegar has some wonderful properties for the body. Here is a recipe that you can try to make your own apple cider vinegar detox tea: Combine one tablespoon of apple cider vinegar, one teaspoon of raw honey, one teaspoon of freshly squeezed lemon juice, and 1 cup of hot water. Enjoy! We may have touched the subject of things to consider before buying these detox teas, but there are also some questions to ask yourself before going shopping. We answered the most frequently asked questions on each detox tea review separately, but we will quickly resume some of the most important issues you need to answer. 1. Q: ​​Am I ingesting natural ingredients? 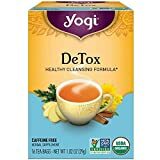 ​A: Some of the detox teas on this list are USDA organic certified, many are cultivated organically even if they lack certification, and all of them contain only natural ingredients. It would be ironic and hypocritical to drink a tea to eliminate toxins, only to ingest more chemicals during your cleansing diet and program. ​2. ​Q: Am I going to lose weight due to these teas? 3. ​Q: Am I going to feel good due to these teas? ​A: Yes, you will. No matter which of the ten best detox teas you pick from our list, it will surely give you an overall feeling of well-being. Their ingredients will help you fight better against tiredness, pollution, stress, heavy food and drinks, sedentary routines, and poor sleep. Since these teas boost your metabolism, energy levels, blood flow, brain function, internal organs’ function, and immune system, you will feel better and stronger – provided you follow a rigorous tea-drinking program without abusing the products. 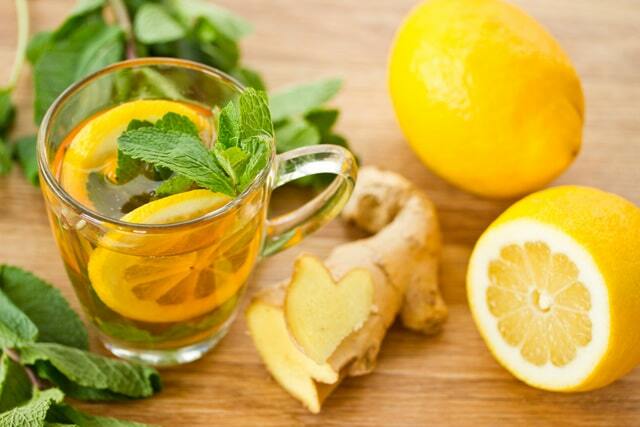 ​These detox teas are awesome and valuable for many reasons. We invite you to read each individual detox tea review to learn more about each product. Nevertheless, we will sum up here the best reasons why these teas are true wonders for those wanting to boost their health and cleanse their bodies and minds. All these teas have powerful and visible psychological benefits. Do not frown, as we are not talking about things you are not familiar with. We are talking about emotions of joy, peace, comfort, and relaxation triggered by the flavor, taste, scent, and physical effects of these teas. Some smell like Christmas and some smell like cakes. ​Some clear your head, some make you feel relaxed and at ease. Some boost your mental energy and give you the feeling you are ready to conquer the world. Others, lull you into soothing sleep. There are other slower, but more visible psychological benefits: you will feel better and you will look better. In turn, these will boost your self-esteem, motivation level, and self-confidence. Who does not feel amazing when their health is tip-top and their looks are gorgeous? ​You can share them with your entire family. Sure, you may be following a detox diet, but your family members may just need a tantalizing drink during the day to replace coffee or sodas. 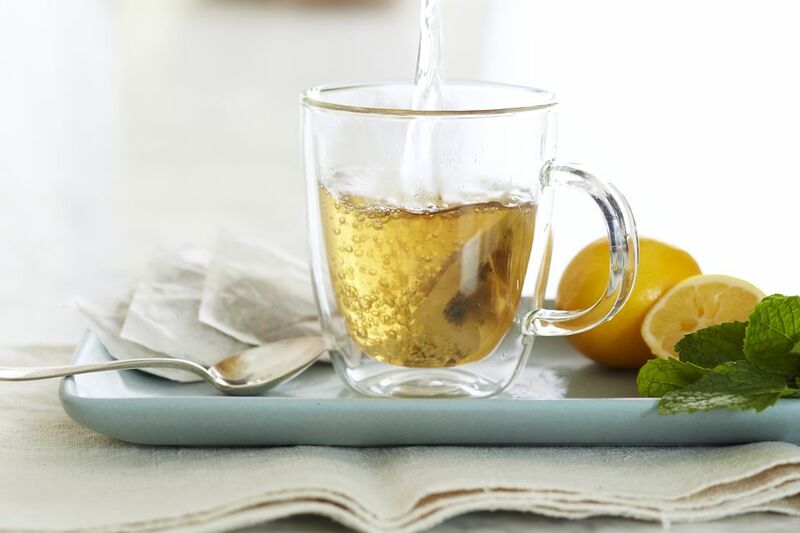 A lighter cup of any of these teas – without detoxing purposes – can turn into your family’s next best daily pick-me-up or calming down drink. In comparison to coffee, sodas or energy drinks, these teas will also make them feel better and stronger. Given the wide area of flavors and tastes, you will surely find on the list something to please the family. These teas have all multiple health benefits, which go on longer than your diet’s expiration date. Even if you finish your cleansing program, you should keep the teas at hand. Many work great against menstrual cramps and headaches. Many will help you fight against flu and cold symptoms. Many will work as sleep and relaxation enhancers. Just keep them close and use them whenever you want to alleviate other health issues – with the added benefit of better digestion and water/waste elimination in the same time. To maintain a healthy digestive tract, it's important to take care of your body. I'll go over some tips here that will help with your digestive tract. These are good tips to follow regardless of if you show signs of needing a detox tea or not. Avoiding eating large meals right before bed. Avoid food that you know cause intestinal issues. For example, if you know you are lactose intolerant, avoid milk products. Also, many people have issues with spicy foods. Eat plenty of fruits, vegetables, and grains every day. Before reaching the conclusion of this best detox teas top list we will focus on three more common questions about these products. While you will find the answers on each individual detox tea review, it is useful to sum up the answers on this page. Q: Are the detox teas on this list environmentally friendly? A: They all are in different grades. Most teas and the other ingredients in the tea blends are cultivated organically. There is little to no use of pesticides and toxins involved in the cultivation or picking process. Some teas are USDA-certified as being organic. Their cultivation, maintenance, and gathering does not negatively influence the environment. Q: Are the detox teas’ supply chains ethically sensible? A: According to the manufacturers, these best detox teas’ supply chains are ethically sensible. If you have serious concerns regarding the supply chain ethics, it is better to address a direct question to each manufacturer individually. From our experience, they are all willing to answer their customers’ inquiries. Q: How much attention should I pay to the teas’ expiration dates? A: Your full attention. 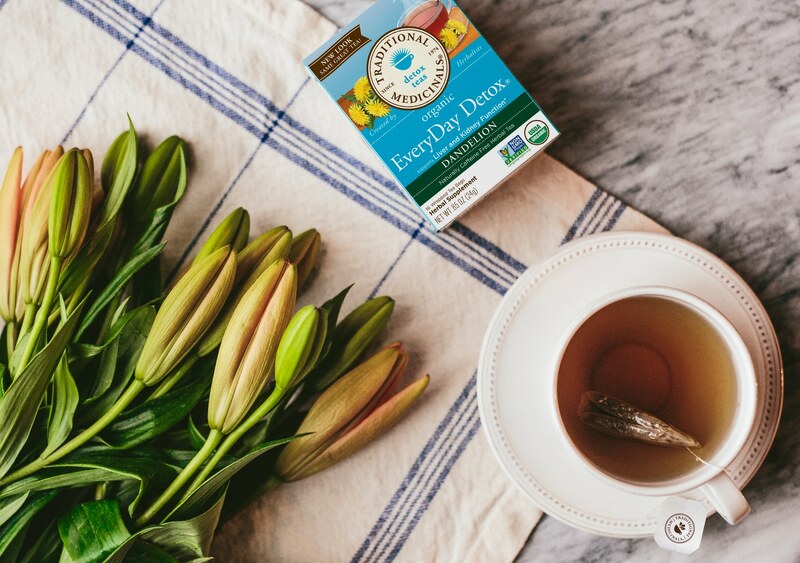 While tea coming in tea bags have a longer shelf life, all the detox teas on our list come with an expiration date. You need to consider it so you can enjoy the full benefits of the teas. Past the expiration dates, the teas will more likely lose color, flavor, taste, and detox effects due to the oxidation of the ingredients. This was our best detox teas top for 2018! They are excellent picks if you want to eliminate waste and water, pump up your internal organs’ functioning, boost your mental skills, and get a general feeling of health and well-being. If you mix these teas with other cleansing and diet programs, you will enjoy great detoxification and multiple health benefits. 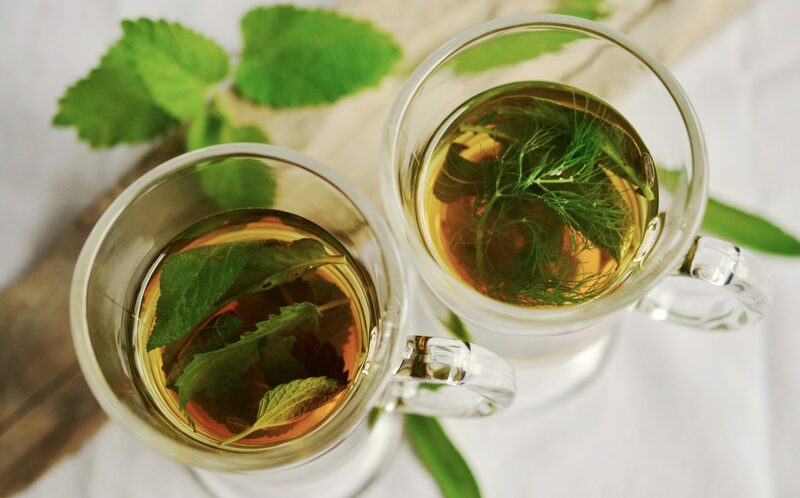 The best part is that you can drink these best detox teas for fun (taste, flavor, scent), for relaxation and positive emotions, or for their multiple health benefits we already mentioned. These teas can successfully replace caffeine in some cases, sodas, energy drinks, and even other drinks, if you follow the instructions correctly and you do not overuse the products. For more details on each individual detox tea, please visit the reviews we offered for each of the ten best detox teas on this list. If you have more questions, feedback, suggestions, or inquiries, feel free to leave us a comment in the section below! 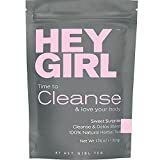 Amazon Detox Teas listed according to customer reviews.